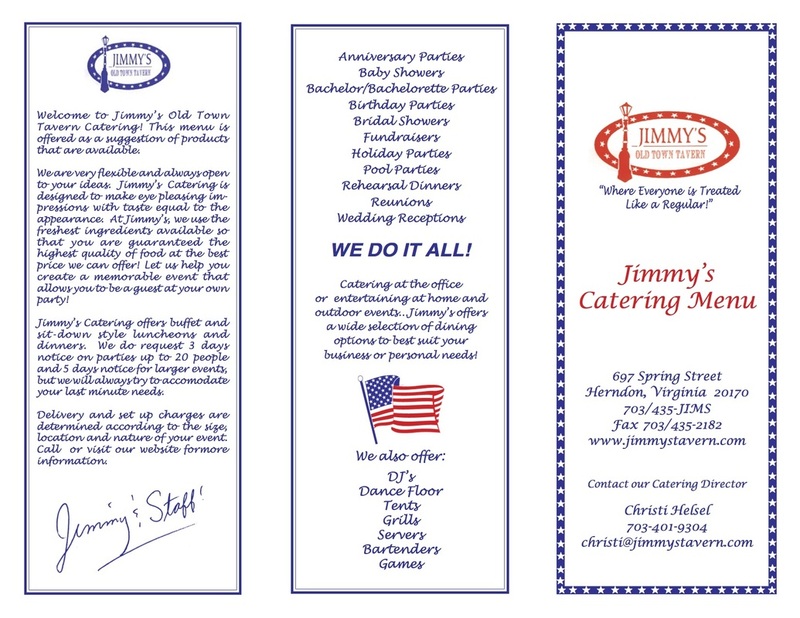 Jimmy's can cater any anywhere in the Northern Va, metropolitan area. We own and manage equipment for any size event, indoors or outdoors, and yes, we do weddings. 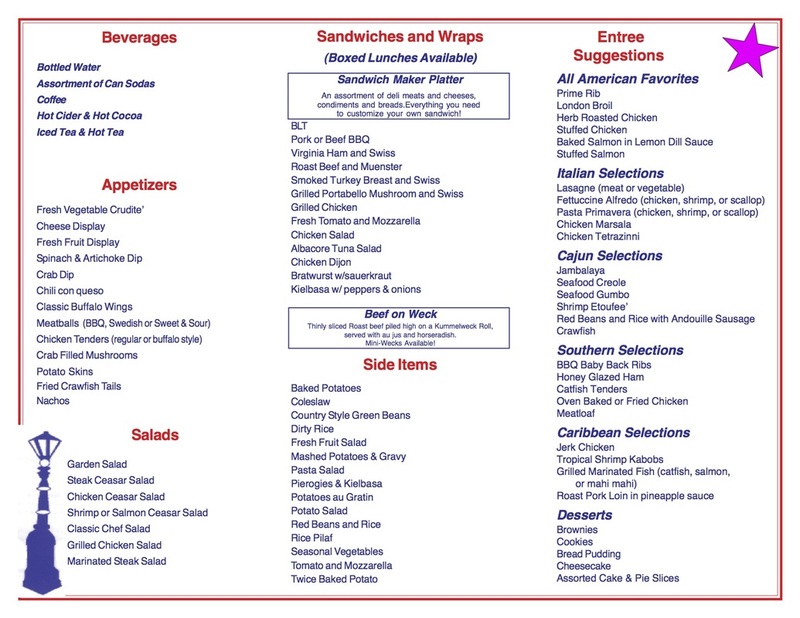 In addition to the catering menu below, we can work with you on custom menus for your gathering. in Old Town Herndon VA.
Free Parking in the Municipal Lots across from us on Elden and Station Streets. Please obey all parking signs in downtown Herndon, as well as in non- Municipal Lots. Thank you! Plan to join us... It's THE place to be!